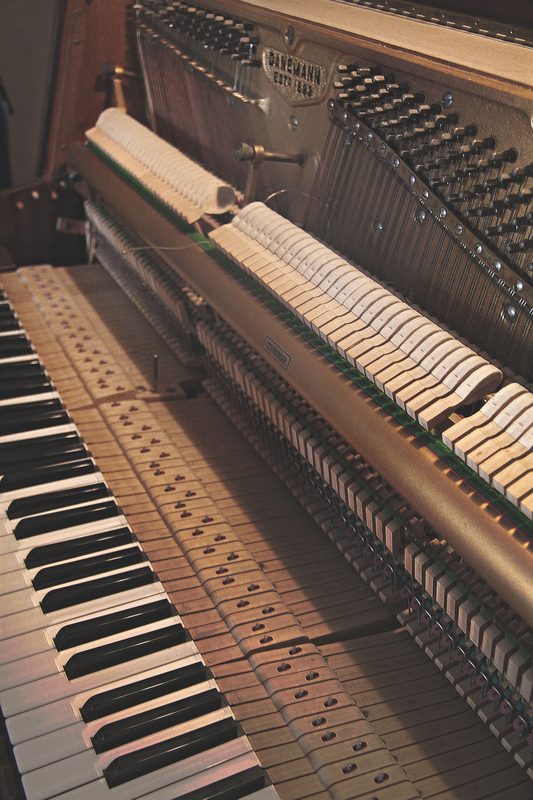 Influenced by John Cage’s prepared pianos, Miriam opened up a piano to expose the interior workings. Because the piano is upright rather than open like a grand piano, she was unable to rest or slot objects in between the strings by means of gravity, however by using a mixture of tape and string to slide in-between the strings, this accentuated the raw twang of the strings themselves, letting the hammers hit a cluster of strings attached by tape. She used discarded violin strings to ‘bow’ the bass piano strings, scraping against the textured surface creating a scratchy, discordant ring. Once these sounds were collected, a small sampled track was pieced together by layering the textured resonances together.